A simple and attractive thank you note at free of cost. Thanking someone turns to be needy gesture now-a-days. For any occasion, we humans are interconnected and obviously we need support from people around to move ahead in life. 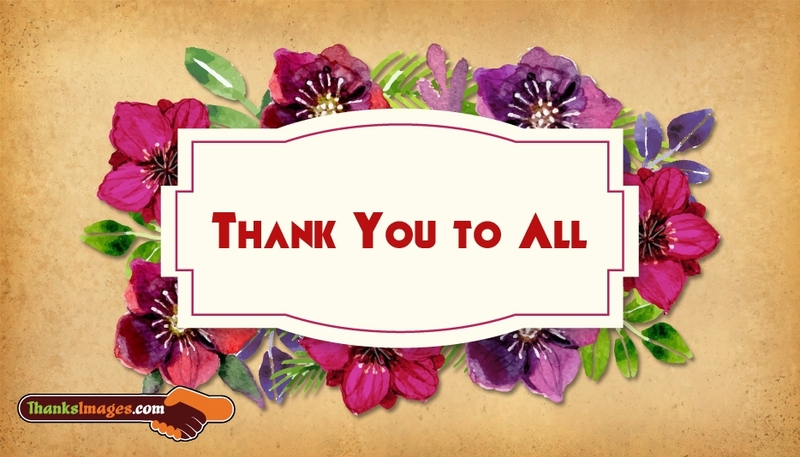 Thank people for their help, by free downloading and sharing this "Thank You to All" image through any social networking platforms.